SimulTrans – Translation Services for Digital Marketing! Translation of Websites, Blogs, Landing Pages, CTA, Offers, etc. Translation and formatting of White papers, Case Studies and eBooks. Translation and Audio Recording of eLearning materials (e.g. product demos, training videos). SimulTrans work with countries around the globe, serving over 3000 clients globally. They can translate into 100+ languages. Over a Billion people worldwide interact with their translations daily. Whether you are booking an airline ticket, buying online or watching a YouTube video, the chances are you have seen their work at some point. Their journey in the Digital World is driven by their clients who desire to grow and be leaders in their industries. Research suggests that over 75% of non-Native English speakers prefer to buy in their own language, that is almost 6 Billion people or potential customers. 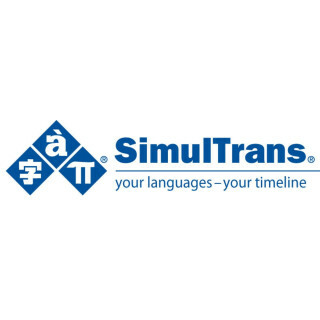 As a leading translation company with 30+ years of experience, SimulTrans has always kept up to date with the latest digital developments in order to service the clients better and improve their own Brand. SimulTrans’ understanding of the digital marketing and the sales inbound methodology has enabled them to help their clients when they have transitioned their digital strategies. They work with some of the leading global digital marketing departments, delivering content for many of the world’s top Brands, adopting the latest technologies and processes, to support their digital journey. Simplicity – They take the pain out of delivering the multilingual campaigns. Technology – They adopt the latest technologies to support companies with the growing digital needs . SimulTrans provides the technology and translation expertise necessary to enable companies adopt an agile translation process in the digital marketing landscape. We are delighted that SimulTrans is participating at the 3XE Conversion & eCommerce Conference on 14th February. Delegates will have a chance to talk to industry experts on translations in digital marketing, get an overview of what translation tools and technologies are available, discuss their own challenges and learn which solutions might be the best suited to their own translation needs. If you’re attending the conference on 14th Feb in Croke Park, make sure to visit the exhibition stand of SimulTrans and gather all the information on translations for digital marketing.